Looking to entertain the children or just in need some time out for yourself? Give pottery painting at The Ugly Duckling a try! Relax in our family-friendly studio and enjoy a spot of pottery painting whilst getting your coffee fix at the same time! There is something for everyone and no age limit. 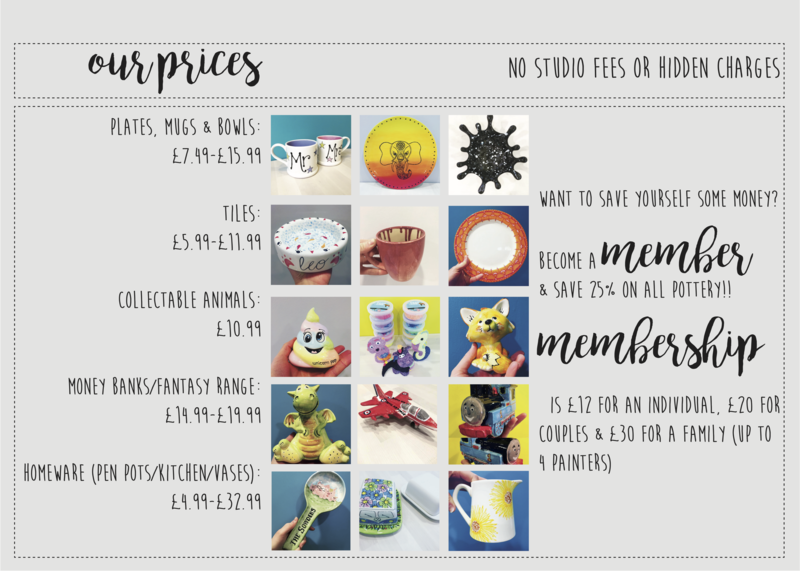 We have all of your essentials, from plates, bowls and mugs through to your fun and exciting fantasy items such a fairies, dragons and unicorns. Once you have finished painting, you leave your pottery with us for 7 days while we glaze & fire it. The end result is vibrant, useable ceramics! Prices starting at just £4.99 with no studio fee and no hidden charges! We would strongly recommend booking for pottery painting! To do so, please call us on 01635 523778. Unable to make it back to collect your items? We offer ‘foam clay’! 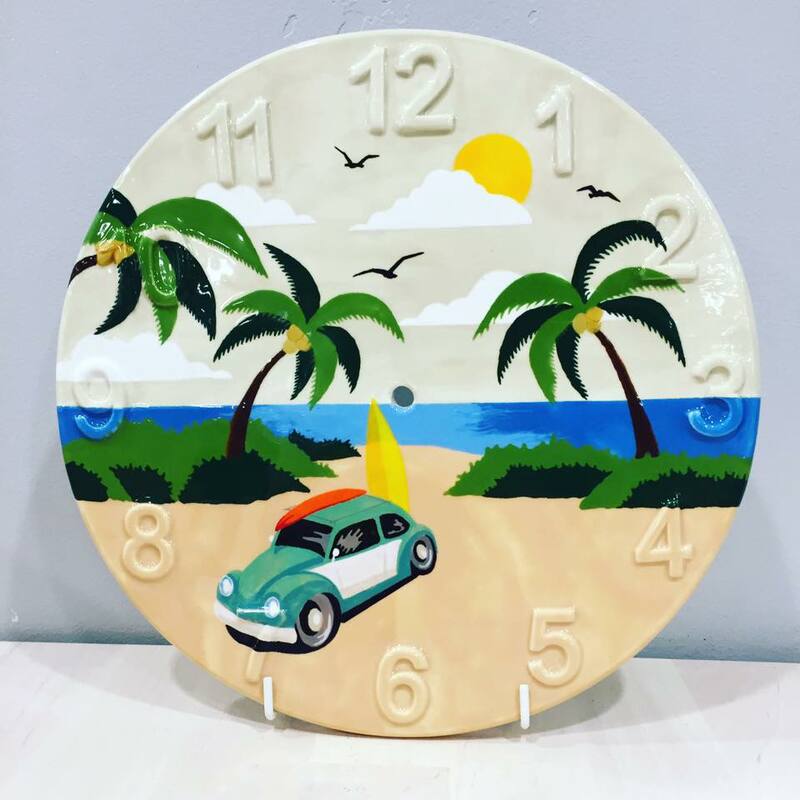 A fun alternative to paint that dries in 30 minutes so that you can take away your items on the day. Please note, this option is for decorative items only. Or, if you like the idea but don’t want to paint yourself, we have an incredibly talent Commissions Artist that can bring your vision to life! For more information please call us or pop in and speak to us! Not your average coffee shop! 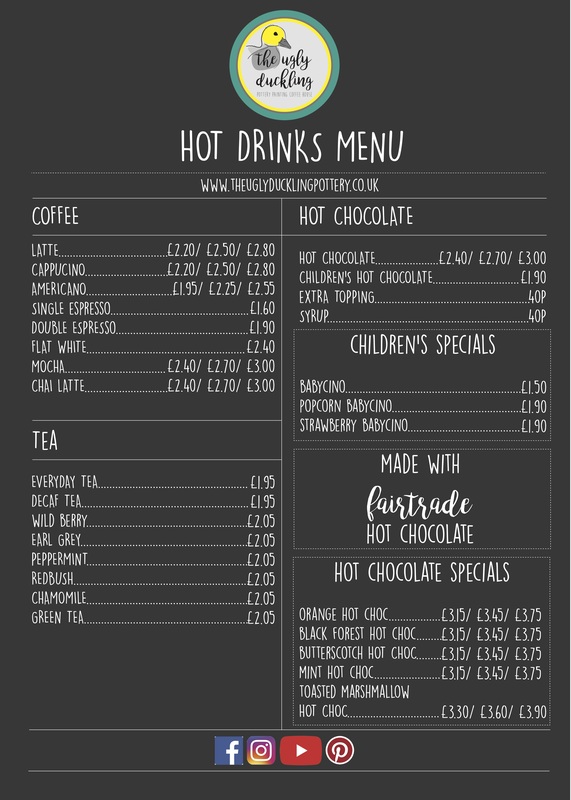 We have a delicious hot and cold drinks menu, available with or without pottery painting! 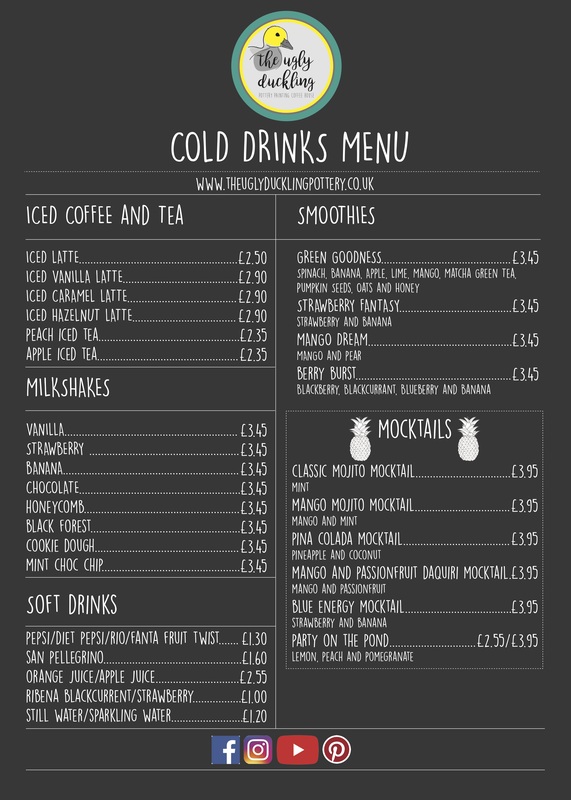 Whether it’s quality time with friends and family, a quiet time to catch up on emails or to take away, enjoy ethically sourced coffee, fairtrade hot chocolate, real dairy milkshakes and real fruit smoothies.